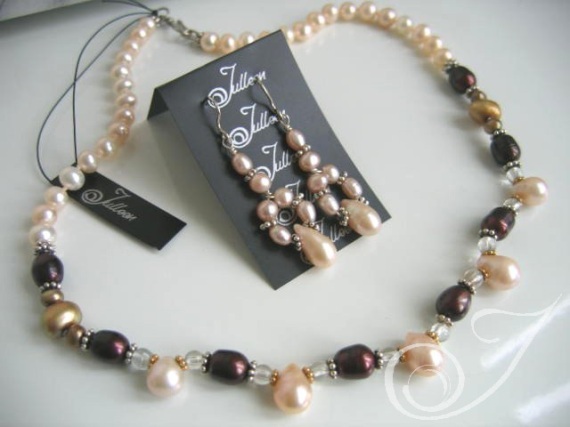 Perfection in a creamy natural pink pearl set. Stranded with vertical pearls that hang gracefully down the centre with citrine beads and maroon and gold pearls. This set gives warmth and can easily be worn with a maroon theme for winter or any season. Can be used well with creams and pinks or golds. Bridget Necklace or Fairy Floss Cluster Earrings.